If you're considering the 2.0-liter Dart, be sure to drive it both on the highway and in city traffic. It can be anemic in some situations, so we recommend putting it through its paces. The 2015 Dodge Dart is a relatively sporty front-wheel-drive compact sedan. The Dart arrived two years ago and replaced the substandard, unloved Caliber hatchback. While the Dart hasn't sold as well as Dodge had hoped, the lineup received a number of changes last model year, solving some teething issues for this, the first true compact sedan since the Neon left years ago. The Dart feels a bit more like a niche model next to strong full-line models like the Ford Focus, Hyundai Elantra, and Chevy Cruze. One hidden Dart asset: In interior volume, it's almost a mid-size car, and feels like it. In many ways, the Dart looks like a modernized Neon. That's a good thing, as the Neon was always one of the better-looking models of its time. It's larger than its predecessor, for sure, but the proportions are similar—with a wide stance and a low cowl. It has a more substantial look in the rear, like the Charger, which adopts an appearance even more similar to the Dart for 2015. With its flowing dashboard, the Dart's interior leans toward the sporty end of the spectrum. Well-equipped models come with an 8.4-inch display for the navigation, climate, and audio controls, and a smaller screen displaying vehicle information sits between the gauges in the instrument cluster. Especially inside, the Dart offers equipment that most won't necessarily expect from a compact car. Seats are comfortable front and rear, and the seating position isn't as low as you'd guess based on the car's lines. Soft-touch materials on most parts of the dash coordinate nicely with harder plastic elements, though big swaths of hard black textured plastic still crop up in a couple of places inside the littlest Dodge. The Dart is styled like a performance car, but the engine choice is what determines whether it behaves like one. 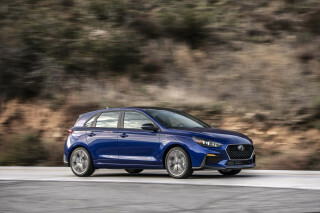 The standard 160-horsepower 2.0-liter four is simply underpowered in this heavy compact, and feels significantly slower than competitors in the most demanding duties, like merging into heavy freeway traffic on an uphill ramp while heavily loaded. 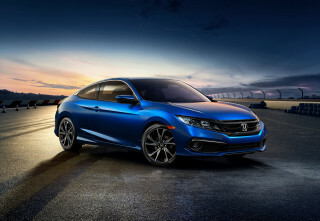 Opt for the turbocharged 160-hp 1.4-liter engine, however, and you'll find more torque, better acceleration, and a sportier, more responsive drive. But you'll have to keep your foot firmly into the accelerator to make it happen. Like many cars with six-speed transmissions, the Dart's top gear was chosen to keep the engine running below 2,000 rpm under steady load, for best fuel economy. The 1.4-liter gives you power, but not until it revs past 3,000 rpm--which may mean not one but two downshifts. The 1.4-liter is standard on Aero models, mated to a six-speed manual or dual-clutch automatic, where a few other tweaks help it hit a max of 41 mpg highway. A 184-hp 2.4-liter four-cylinder is the standard engine in SXT, Limited, and GT models. It's available with a stick or an automatic on SXT and GT models, while the Limited is auto-only. 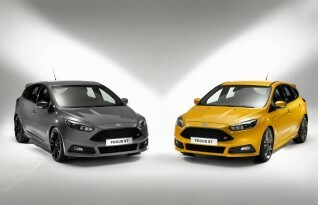 It provides adequate power without the surginess that's sometimes evident from the 1.4's turbo. 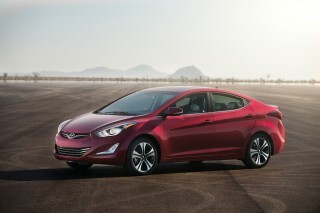 The base 2.0-liter model gets 25/36 mpg with a manual and 24/34 mpg with the automatic. The 1.4-liter turbo Dart is rated at 27/37 mpg with the dual-clutch automatic and without the Aero's tweaks; when fitted to an Aero car, it returns 28/41 mpg with the manual and 28/40 with the auto. The 2.4 returns 22/35 mpg with a manual or 23/35 mpg with the six-speed automatic. The Dart practically aces both U.S. crash-test regimens--with top five-star ratings overall from the federal government and Top Safety Pick status from the Insurance Institute for Highway Safety (IIHS). 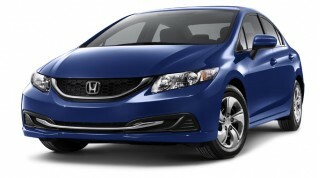 That combination makes it one of the highest-rated cars for safety in this class--next to only the Honda Civic. The car comes standard with 10 airbags, along with the usual suite of electronic safety systems, with both blind-spot alert and cross-traffic detection available, features that are new to the compact segment. Outward visibility is admirable--something that's usually not the case in these days of strengthened roofs for rollover safety. The 2015 Dodge Dart starts at $17,490 for the base-level SE model, while the top Limited trim starts at $23,990. You can see pieces of the brawny Charger and the cute neon in the Dodge Dart design -- and it adds up to something fresh. The 2015 Dodge Dart doesn't look like all the other compact sedans, thankfully. Instead, it takes after some of its Dodge siblings, giving it some attitude in what can be a ho-hum segment. In many ways, the Dart looks like a modernized Neon. It's larger than the Neon, but the proportions are similar–with a wide stance and a low cowl. Its cowl isn't actually any lower than in other cars, but a wide stance, low fender tops, and a long flowing roofline make it look larger and closer to the ground. 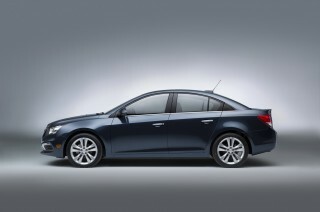 It's neither as boxy and upright as the Chevy Cruze nor as slab-sided as the Ford Focus sedan. It has a more substantial look in the rear, like the Charger, which adopts an appearance even more similar to the Dart for 2015. A full-width taillight cluster offers optional LED illumination (152 diodes in all). The exhaust exits through a pair of 3-inch oval finishers in the apron, unlike more basic compacts that use only a single exhaust pipe. 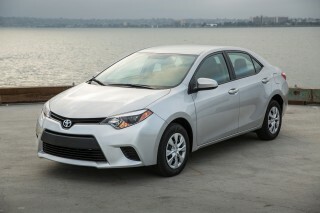 In all, it's far more extroverted than the likes of the Hyundai Elantra, or even the recently redesigned Toyota Corolla. Inside the Dart, the dash is businesslike yet flowing and sculpted, like those in other modern Dodges. Well-equipped models come with an 8.4-inch display for the navigation, climate and audio controls, and a smaller screen displaying vehicle information sits between the gauges in the instrument cluster. The designers said they intended users to have fun while looking at the shapes, and perhaps the most noticeable feature is what they call the "floating island" center bezel--an oblong instrument panel and control surface, essentially. The 2015 Dodge Dart offers quite a range of performance, from the rev-happier 1.4T to a rather anemic base 2.0-liter. The 2015 Dodge Dart has the look of a sporty car, although all of its engine options aren't up to the task of coming through on the promise. You can basically choose economy or power, but not at the same time. The handling and ride do make up for some of the engine deficiencies, however. We have to think that Chrysler would have been better off perfecting one engine instead of spreading itself thin with three engines and three transmissions. None of the Dart's powertrain combinations feels fully sorted, which takes away from the overall experience. It's a compromise whichever way you look. The standard 160-horsepower 2.0-liter four is simply under-equipped to move this heavy compact. It puts out 148 lb-ft of torque, which is not enough in a car that, at about 3,300 pounds, weighs more than many of its rivals. In more demanding driving, whether it's leaving a stoplight quickly or merging into fast-flowing freeway traffic from uphill ramps, the 2.0-liter Dart feels significantly slower than most competitors. The turbocharged 1.4-liter MultiAir engine also puts out 160 hp, but ups torque to 184 lb-ft, making it considerably more entertaining to drive. The catch is that this engine feels sluggish below 2,500 rpm; the turbo's efficiency-minded tuning means you have to rev it from 3,000 to 6,000 rpm to make power. (Yes, gas mileage suffers as a result.) The turbo also has uneven power delivery, which is most annoying with the clunky dual-clutch automatic. The 1.4 is standard on the Aero, which is somewhat of a fuel-economy special. There's a third engine option, and it's probably the best of the three. A 184-hp 2.4-liter four-cylinder is standard in SXT, Limited, and GT models. It's not surgey like the turbo, but still provides plenty of power and torque. It's still let down by its transmission, which doesn't shift very smoothly. Across the board, you can pair these with a Fiat-sourced six-speed manual gearbox. The non-turbo engines can also be ordered with a six-speed automatic transmission (provided, surprisingly, by Hyundai), while the 1.4 turbo's auto option comes from a six-speed dual-clutch gearbox. We have one cautionary note about drivability: To eke out every last point of fuel economy, the transmissions are all seemingly tuned to keep the engines below 2,000 rpm in most circumstances—with tall gearing. That means that when power's needed, not one but two downshifts are required—and the driver has to learn to anticipate and plan for that. It might not be so happy in hilly terrain, or at least not very efficient. The 2015 Dodge Dard has a very roomy and comfortable interior -- as well as a smooth ride. If the 2015 Dart seems big for a compact car, that's because it is. Based on its interior volume, the EPA actually classifies it as a mid-size sedan. Both the front and rear seats are very comfortable, and the cabin feels as wide as that of any competitor. The seating position is a little higher than in other compact sedans, with the driving position is more legs-out than typical, but lower seat cushions are wide and long enough, yet supportive for a wide range of sizes. The Dart has quite a lot of useful storage pockets, cubbies, and trays in the door and console. And the glovebox is large enough to accept a laptop computer. There's also a storage compartment available in the front passenger seat, although some passengers noticed its reinforced cloth pull-tab. Trunk space is surprisingly abundant, although the opening is quite small and constricted; for larger items you'll need to use the wide-opening rear doors and split folding rear seatbacks. Dodge says it's taken great care with the quality of its materials, including the operating mechanisms of its dashboard vents, and there's a huge improvement over the Chrysler products of the past. Most interior surfaces are covered in soft-touch plastics, with color and texture used as accents--which matches the car's sporty flavor--more than the more traditional wood and chrome. The softer materials match well with the harder plastics in places like the door pockets, though on the lower dash there are a few broad swathes of hard-textured black plastic that echo the bad old days. The engines can be a little more vocal than those in other compact sedans, but otherwise the Dart is relatively peaceful and quiet. There's a fair amount of road noise on some surfaces, although the Dart probably ranks as one of the quieter cars of its kind. With ten standard airbags, and a great set of crash-test ratings, the Dart is one of the safest picks in its class. The Dodge Dart practically aces both U.S. crash-test regimens—with top five-star ratings overall from the federal government and Top Safety Pick status from the Insurance Institute for Highway Safety (IIHS). That combination makes it one of the highest-rated cars for safety in this class—next to only the Honda Civic. Every 2015 Dart comes standard with ten airbags, along with the usual suite of electronic safety systems, while blind-spot alert and cross-traffic detection are both available, though rarely seen in the compact segment. Outward visibility is admirable--something that's far from normal in these days of strengthened roofs for rollover safety—thanks in part to the triangular third side window. Other compacts could learn from the Dart there. The NHTSA awards the Dart five stars overall and in all categories except rollover, where it scores a still-respectable four stars. The IIHS gives the Dart top 'good' ratings in most categories, although there's one area where the Dart could have done better, and that's in the new IIHS small-overlap frontal test, where it achieved a second-best 'acceptable' rating. That's enough to earn a Top Safety Pick award, but not a +, since the Dart lacks automatic-braking capability. Even in its crowded compact-car field, the 2015 Dodge Dart impresses, thanks to some standout options and personalization possibilities. Dodge claims that the Dart can be equipped in more than 100,000 different build combinations. That's great if you want to have a unique vehicle, but it can make spec'ing your car a little more difficult, not to mention finding one just the way you want on a dealer's lot. While many rival models (like the Kia Forte or Hyundai Accent) are sold in a very limited number of builds, with just a few option packages, Dodge has "unbundled" its most popular options so buyers can mix and match at will—and it says it can deliver a specially ordered car in 30 to 45 days. 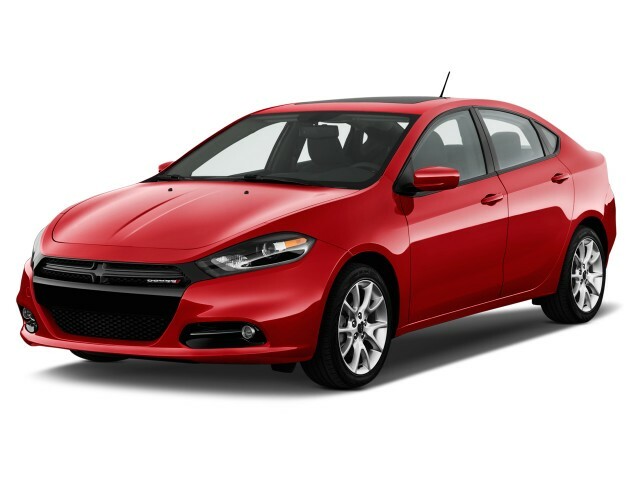 The 2015 Dart starts at $17,490 for the base-level SE model, which features 16-inch wheels and tires and power windows, but forgoes air conditioning. It also has manual windows and door locks, cloth seats, and an AM/FM radio with four speakers. This entry-level Dart is the only one equipped with the 2.0-liter four-cylinder. The SXT comes with the 2.4-liter engine adds premium cloth seats and door panel trim, a center console, keyless entry, a six-speaker AM/FM radio, air conditioning, and 17-inch alloy wheels and tires. Options include a nine-speaker premium audio system, the 1.4-liter turbo engine, a sunroof, a rather nice dark-grey "denim" interior fabric, and the latest Uconnect infotainment system, which includes an 8.4-inch center touchscreen. Above that is the Dart Aero, which includes a host of fuel-saving items like active grille shutters and low-rolling-resistance tires. It comes only with the 1.4-liter turbo and either a six-speed manual or six-speed dual-clutch auto. The Dart GT also comes with the 2.4-liter, and includes items like 18-inch wheels, leather seats, and the 8.4-inch Uconnect package. Options include the Technology Group, which bundles parking sensors, blind-spot monitor, rear cross-path detection, and HID headlights. The Dart Limited brings a chrome grille, contrast interior stitching, a power six-way driver's seat, a 7-inch Thin Film Transistor instrument cluster, extra gauges, active grille shutters, and an array of standard and optional features that include Uconnect with navigation, keyless entry with push-button start,17-inch polished aluminum wheels, high-intensity discharge (HID) headlamps, Nappa leather, heated front seats and steering wheel, and cross-path collision detection. Limited models all feature the 2.4-liter ande automatic transmission. The 2015 Dodge Dart remains a fuel-efficiency underachiever for most of its lineup -- although the top Aero has some impressive mpg numbers. The Dart Aero is lighter than the standard 1.4-liter model with six-speed manual, with forged aluminum suspension components replacing some steel parts, and it has some small aerodynamic aids along with low-rolling-resistance tires. Dodge notes that it uses seven different underbody panels to smooth airflow under the car, along with fitting active grille shutters to some models (like the Aero) to reduce airflow through the engine compartment when cooling demands are low. All these items reduce aerodynamic drag. Too many interior blind spots while driving, very loud road noise. Have one for a few weeks as a rental, because of blind spots and road noise I would not purchase.